Buoyed by the sense the race is newly competitive, Trump heads to Huntsville, Alabama, on Friday to campaign for Sen. Luther Strange, appointed in February to temporarily fill the seat that opened up when Jeff Sessions became attorney general. 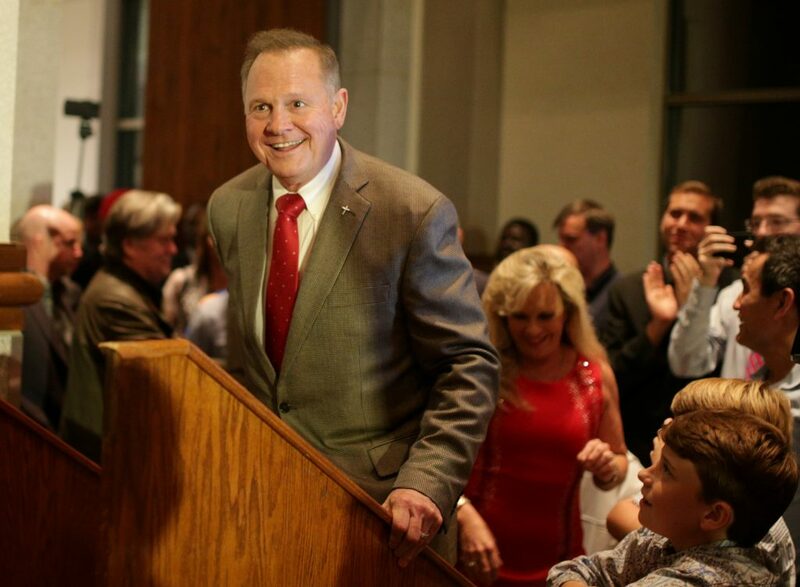 Sen. Luther Strange and former Alabama Chief Justice Roy Moore are headed to a Republican primary runoff to fill the U.S. Senate seat previously held by Attorney General Jeff Sessions. Turnout is reportedly low in Tuesday's Republican special election to fill the Alabama Senate seat vacated by Attorney General Jeff Sessions. Here's a guide to the closely-watched primary race.